Matthias Strohn is a Reader in the Humanities Research Institute and teaches on the University’s programme based in London. He is also a Senior Lecturer in the Department of War Studies, The Royal Military Academy Sandhurst and since 2017 has been on secondment to the Centre of Historical Analysis and Conflict Research (CHACR), the British Army’s think tank. Dr Strohn is a Fellow of the Royal Historical Society and a member of the British Commission for Military History. He was educated at the University of Münster (Germany) and the University of Oxford, from which he received his MSt and his DPhil with a thesis on the German army in the inter-war period. Dr Strohn is a specialist in the history of the German army in the 20th century, with a special interest in the World Wars, command and leadership, the development of doctrine and the application of doctrine on the battlefield. His DPhil thesis was published by Cambridge University Press under the title The German Army and the Defence of the Reich in 2011 (paperback 2017) and in 2016 he published the monograph The Royal Gibraltar Regiment. He has edited four books on the First World War: The Great Adventure Ends: New Zealand and France on the Western Front (2013);World War I Companion (2013); The Battle of the Somme(2016); and 1918: Winning the War, Losing the War (2018) and also How Armies Grow. The Enlargement of Military Forces in the Age of Total War, 1789-1945 (2018). 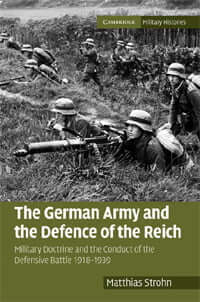 He is currently working on a monograph on the German army in the First World War. Dr Strohn has acted as the academic adviser to German and British government bodies for the First World War centenary commemorations. He is a keen battlefield tour guide and has led tours in Europe from Normandy to Stalingrad. He has also worked on television and radio as both historical adviser and interviewee. Dr Strohn holds a commission in the German Army and, as Lieutenant-Colonel, is a member of the military attaché reserve, having served on the attaché staffs in Madrid, London and Paris. In a previous role he served as the staff officer for military history at the German Armed Forces Staff College in Hamburg. He has deployed to Iraq and Afghanistan with both the British Army and the German Bundeswehr. 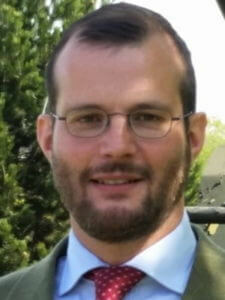 Dr Strohn supervises MA and doctoral research on 20th and 21st century war studies and military history.